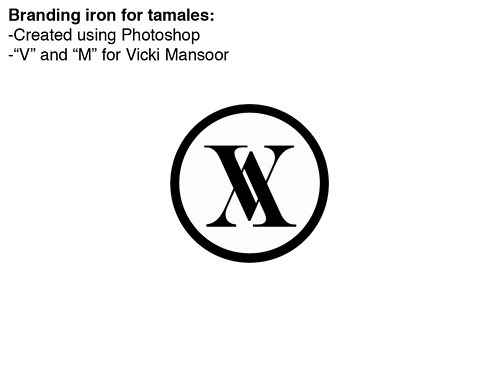 Tonight, I assisted Vicki in creating a design in Photoshop that will eventually be turned into a branding iron. She instructed me to put two upside-down “V’s” on top of one another in a circle in order to create her initials. (V.M.) Her logo will be branded onto tamales that will be sold on the opening night of Green Acres.